Not only were these an obvious hit, but hiding a bag of chocolate chunk cookie balls in your freezer to whip out at a moment’s notice will sort out anyone’s rough day at school. Borrowed from Smitten Kitchen, but seen in several other places, I doubled the recipe below (and probably always will!) – enjoy! Preheat oven to 360 – yes, 360…the 10 extra degrees apparently makes for a better cookie (and I’m not one to argue) – and line a couple of baking sheets with parchment. Using your electric mixer, beat together the butter and both sugars for about 5 minutes until the mix is very light and fluffy. Add the egg and vanilla and beat again, then the sea salt and baking soda and beat until combined, then add in the flour and mix on low until just combined. The dough will look a bit crumbly, this is normal. 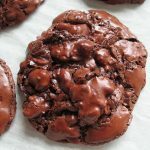 Use a stiff spatula to fold in the chocolate chunks and then scoop in large tablespoon-sized mounds onto your prepared baking sheets. 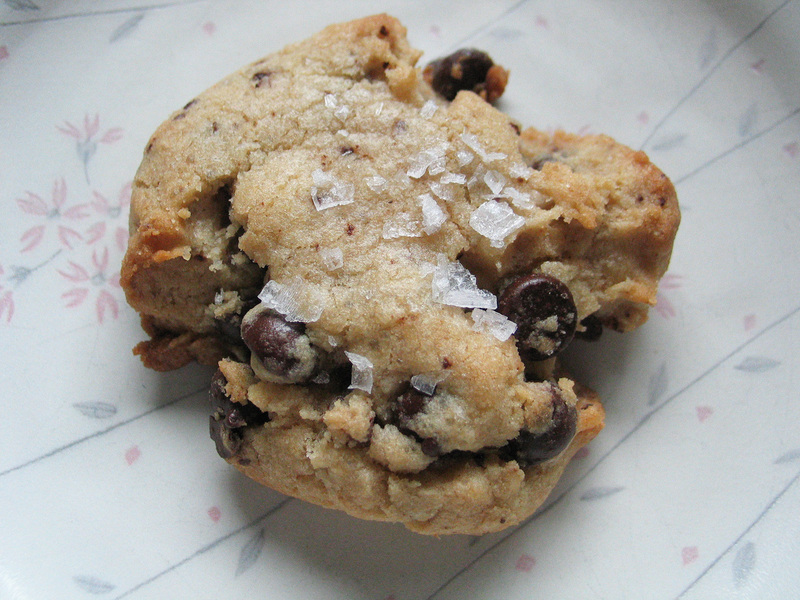 Press each mound down just a titch, then sprinkle each cookie with a few flakes of sea salt. Bake for 11 or 12 minutes until golden on the outside, but still soft in the middle. Allow the baked cookies to rest on the baking sheet for several minutes before transferring them to a rack to cool completely. I’m sure these freeze brilliantly, but ours never made it that far…another benefit to hiding some uncooked dough balls in the freezer!